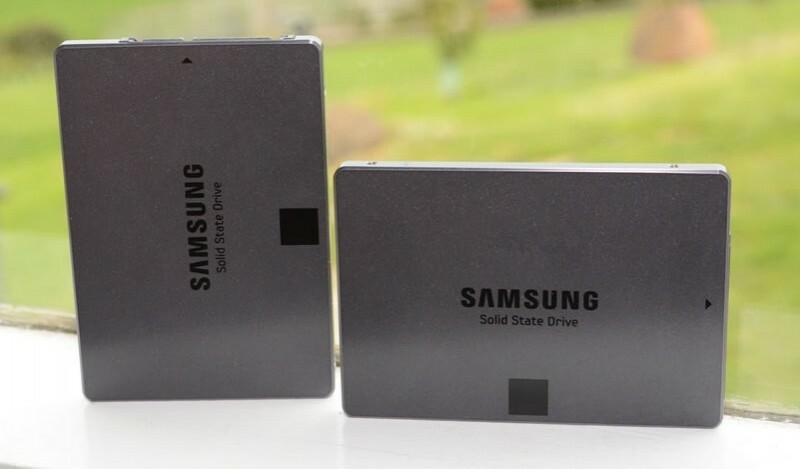 Some Samsung 840 EVO SSD owners noticed their drives were slowing down last year, specifically the read speeds. Samsung issued a patch to fix the problem in October but it was only a temporary solution as slowdowns returned a few months later. In February, Samsung acknowledged the nagging issue and vowed to release another patch in March. That date came and went but alas, we’re now being promised that said fix is due out later this month. When pressed on the matter as to what exactly will be changed in the update, Samsung offered up the following information. Samsung revised the firmware algorithm to maintain consistency in performance for old data under exceptional circumstances. Therefore, read performance was restored without the need for Magician. This algorithm is based on a periodic refresh feature that can maintain the read performance of this older data. The algorithm does not affect normal user scenarios (i.e. occasional PC performance degradation due to background work of SSD) or the lifespan of an SSD and can actively maintain its performance without the help of Magician. However, this algorithm does not operate when the power is off. The read performance has been improved by the revised firmware algorithm. If performance recovery is slow in instances where the SSD did not have enough run-time for the firmware algorithm to reach normal performance levels, or similarly, had been powered off for an extended amount of time, the performance can be recovered by using the Advanced Performance Optimization feature in Magician 4.6. This is a supplementary feature to maintain normal performance for a few exceptional circumstances. Users can upgrade to the new firmware through Magician 4.6, without using the performance restoration tool. One of the key takeaways here is that systems that are frequently turned off without a lot of idle time will still need to rely on the Advanced Performance Optimization feature in Magician to restore performance. No word yet on just how much idle time will be required for the drive to optimize itself.